September 14th is the date established for a feast that recognizes the Cross as the instrument upon which our salvation was won by Jesus Christ. This feast is called in Greek Ὕψωσις τοῦ Τιμίου καὶ Ζωοποιοῦ Σταυροῦ (“Raising Aloft of the Precious and Life-Giving Cross”) and in Latin Exaltatio Sanctae Crucis. 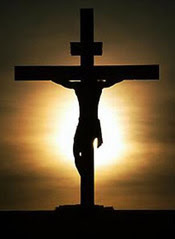 In English, the 3rd Edition of the Roman Missal restored the traditional name, the Exaltation of the Holy Cross, replacing the 1972 nomenclature of the Triumph of the Cross. When the feast day falls on a Sunday (e.g. 2014 and 2025) it replaces the Sunday celebration of Ordinary Time. According to the tradition, the True Cross was discovered in 326 by Saint Helena, the mother of the Roman Emperor Constantine the Great, during a pilgrimage she made to Jerusalem. The Church of the Holy Sepulcher was then built at the site of the discovery, by order of Helena and Constantine. The church was dedicated nine years later, with a portion of the cross placed inside it. Other traditions explain that in 614, that portion of the cross was carried away from the church by the Persians, and remained missing until it was recaptured by the Byzantine Emperor Heraclius in 628. Initially taken to Constantinople, the cross was returned to the church the following year. The date of the feast marks the dedication of the Church of the Holy Sepulcher in 335. This was a two-day festival: although the actual consecration of the church was on September 13, the cross itself was brought outside the church on September 14 so that the clergy and faithful could pray before the True Cross, and all could come forward to venerate it. The gospel reading for this feast is John 3:13-17 which is an integral part of a much larger narrative. John 3:1-21 comprises a single, cohesive scene within the Johannine narrative and should be studied as a single narrative – but this day we glance at a small portion that forms a capstone like statement of the role of Jesus in our salvation. John 3:13-17 13 No one has gone up to heaven except the one who has come down from heaven, the Son of Man. 14 And just as Moses lifted up the serpent in the desert, so must the Son of Man be lifted up, 15 so that everyone who believes in him may have eternal life.” 16 For God so loved the world that he gave his only Son, so that everyone who believes in him might not perish but might have eternal life. 17 For God did not send his Son into the world to condemn the world, but that the world might be saved through him. This entry was posted in Scripture and tagged Exaltation of the Holy Cross, Triumph of the Cross by Friar Musings. Bookmark the permalink.